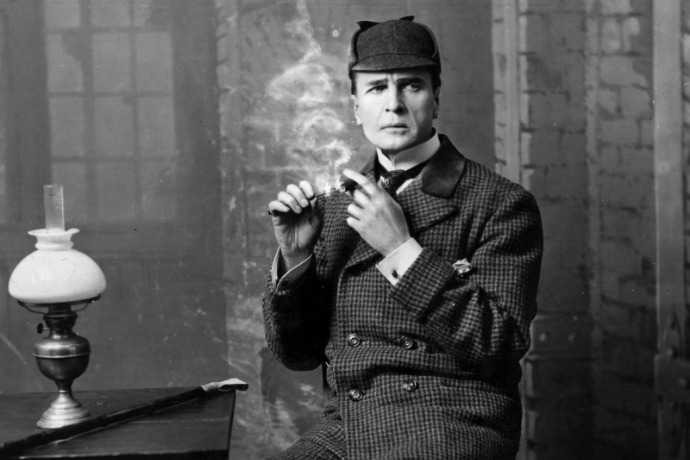 Was William Gillette's play Sherlock Holmes the very first Holmes pastiche? I'm afraid I'm not Sherlockian enough to answer that question, but it may have been the first officially sanctioned non-canonical adventure. When Gillette wrote to Doyle asking if he could marry off Holmes, the author responded, "You may marry him, or murder or do what you like with him." Below is the play in a limited edition hardcover from 1974. 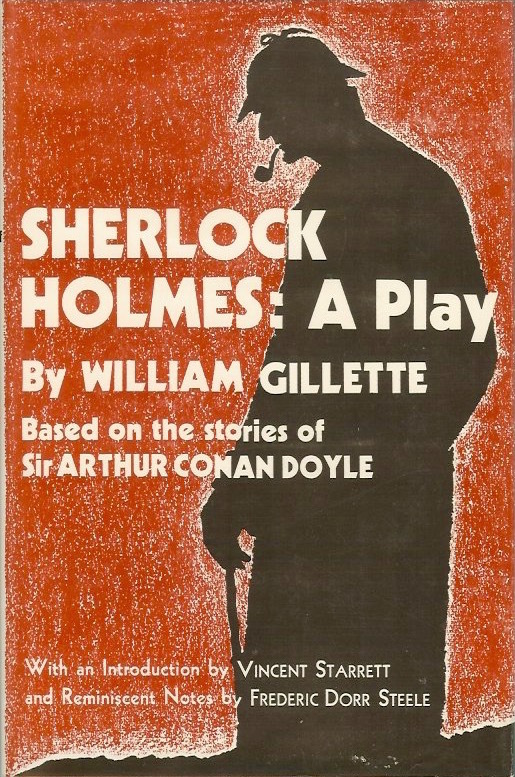 Based upon the stories by Sir Arthur Conan Doyle, William Gillette's play in a book edition, illustrated by Frederic Dorr Steel–with his Reminiscent Notes–and the Introduction by Vincent Starrett, was first published by Doubleday Doran in 1935, and although differing somewhat from the Samuel French Play Edition, 1922, which gives both William Gillette and Sir Arthur Conan Doyle as authors, subsequently became a coveted and scare book. The present edition is printed from the original Doubleday Doran plates, including illustrations and dust jacket. Besides Gillette himself (below), the famous play has seen many notable actors playing Holmes, including: H. A. Saintsbury, John Barrymore (on film), John Wood, Leonard Nimoy, and Frank Langella. Gillette's own 1916 silent film adaptation, long thought lost, was discovered in 2014.